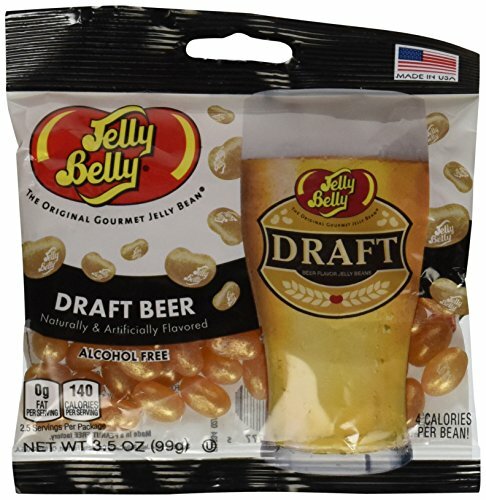 We have taken your favorite draft beer and turned it into a gourmet jelly bean! Enjoy the authentic taste of a freshly poured draft beer without the alcohol. This fun jelly bean is completed with a jewel-like finish for a fresh from the tap "bubbly" look. No alcohol content. 3.5 oz bag. All Jelly Belly jelly beans are OU Kosher, gluten free, peanut free, dairy free, fat free and vegetarian friendly. DuVino creates fun wine accessories and unique funny novelty beer and wine glasses with sarcastic jokes, memes and hilarious sayings.Whether you need a memorable birthday present for your best friend, husband, boyfriend, dad, brother, or coworker they'll enjoy for years, we've got you covered. Need a cool gift for a bachelor's party, housewarming, or host? Your search is over! 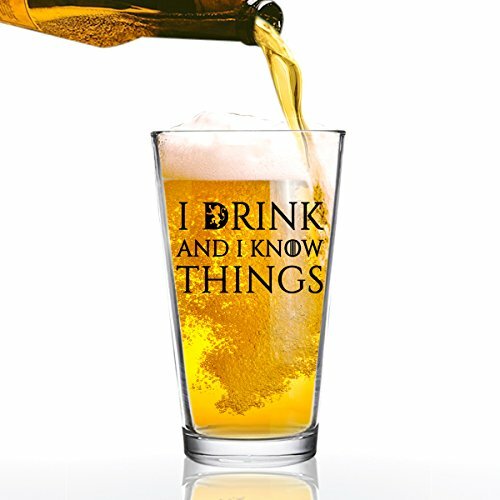 Funny beer glasses are also great for Christmas gifts, holiday office parties, stocking stuffers and dirty santa / white elephant gift exchanges Imagine their face when they open the box to find "I Drink And I Know Things" beer glass. They'll LOL and think of you every time they take a sip of their favorite drink and smile for years to come. Our glassware is designed, made and packaged in the USA. The fun logos are printed and then oven fired to ensure a long lasting, dishwasher safe finish. We inspect each glass for any flaws in print or scratches before we roll each glass in bubble wrap for safe shipping. We then lovingly pack in a durable white box ready for gifting! Your happiness is our priority and we know that when you have given the perfect gift to a loved one, we've done our job. You searched for it, and now you’ve found it! The classic, ridiculous, beer guzzler helmet from Fairly Odd Novelties is ready to make your next all-night adventure a night to remember! Or maybe not. . . But the jokes don’t stop at booze-filled shindigs or the big game. This beauty, in classic cobalt Blue is just as fun for the young ones when you load it up with soda or pop! With an adjustable headband, This party helmet fits almost anybody and makes you the life of the party every time! 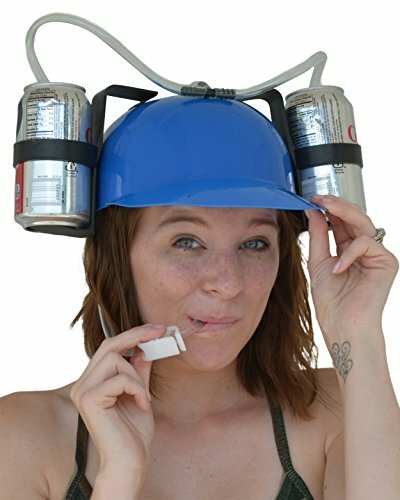 As a true novelty American classic, this ridiculous beer helmet makes the perfect gag gift for drinkers and fires-ups the crowd like no other can! Get yours now! A night of wondrous party adventure awaits you! Use your new found glory wisely friend. And always drink as responsibly as possible when your wearing this piece of true-blue American history! Enjoy! Color is Blue. One Size Fits Most. The maximum circumference of the inside headband is 23. 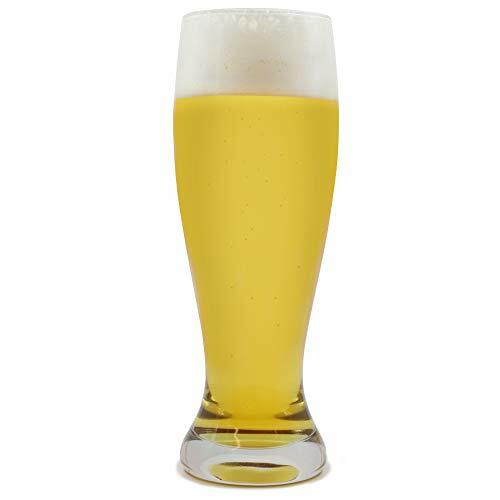 63"
Celebrate any event and party with this jumbo crystal-colored beer glass! Made with glass, this naturally transparent drinkware come in the extra large size and a classical design perfect for happy hour at home, office or even for camping trips. 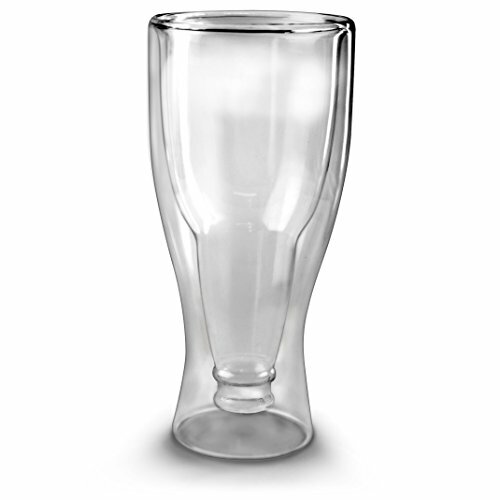 Using high-quality glass ensures you get the full flavor of your favorite brew every time. Fill it up with up to 4 12-oz bottles of beer or 57 ounces and get a whopping beer drinking experience! More Than Just A Novelty. 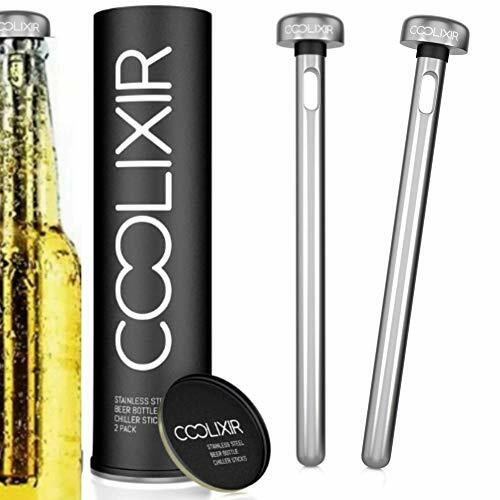 COOLIXIR have designed this unusual gift to appeal to beer drinkers who appreciate the thought that goes in to choosing a Valentines day gift for under 50. Made from high quality steel and presented in specifically designed quality gift packaging to ensure our bottle chillers will be well received. 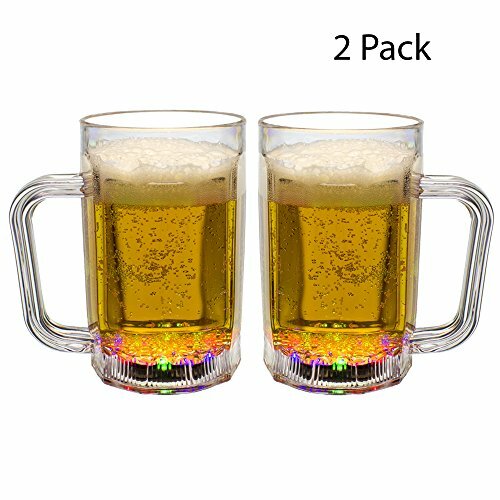 Features 2 pack of high quality stainless steel beer coolers - FDA approved. Simple to use, just freeze for 45 mins before applying to most standard 12oz beer bottles. 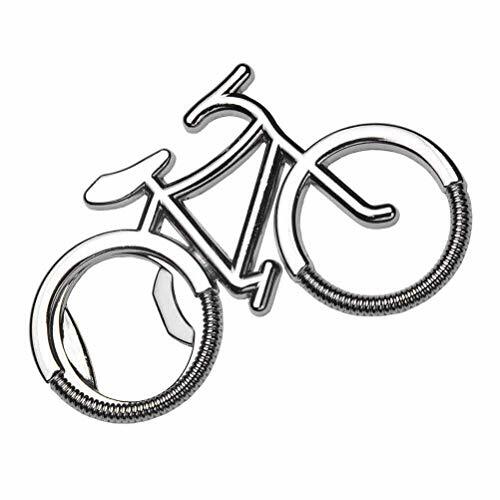 Reusable, tough and easy to clean. Perfect spirit chillers for any occasion. 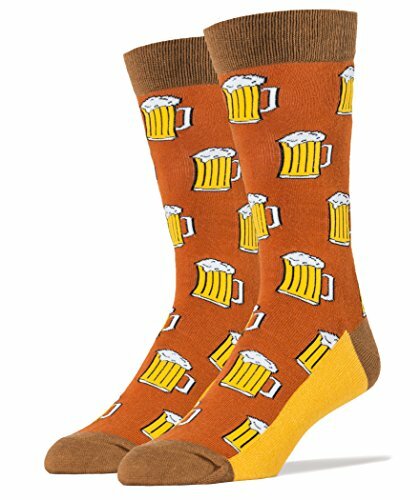 Great party beer gift or beer accessory. 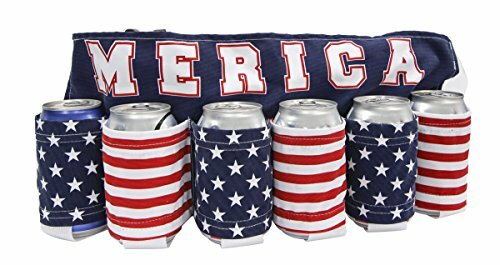 Can be used when at the beach by the pool, BBQ's or anywhere else you like to enjoy a cold one. Works just as well as a soda and wine chiller stick. Presented in sleek, quality cylinder gift box packaging. Designed to look unique and cool to compliment it's contents. What goes better with gold than beer? Now all golfers can be ready for that 19th hole! This novelty bottle opener features an authentic clean white ball which doubles as a grip for the opener. The bottom part of the opener is made of slim stainless steel that is firmly fastened into the drilled ball. Never know what to get your dad, grandpa, son or friend who loves to golf? 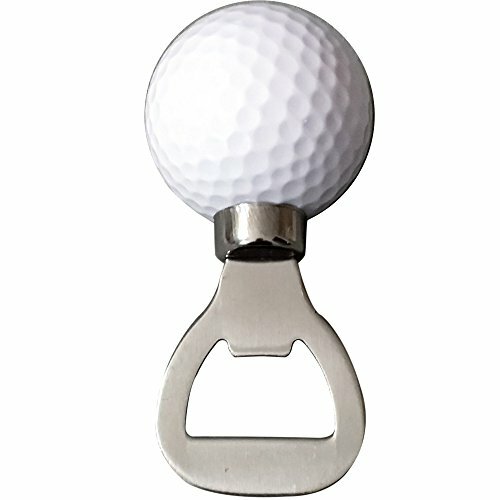 This Golf Ball Bottle Opener is the perfect gift-ready solution! Talk about having a light beer. Our LED Beer mug makes everything a light beer--even dark beer! Each glass features 6 high-powered LEDs in the base-2 red, 2 green, 2 blue-and a push of the small round on/off button cycles through 3 distinct light modes: slow blink, fast flash and steady on. The darker the room, the brighter these two high quality acrylic light up beer steins shine. They'll really spruce up your home bar or man cave. If you own a bar or restaurant (or both), our LED beer mugs will give your customers a special experience. Who doesn't love a cold beer. 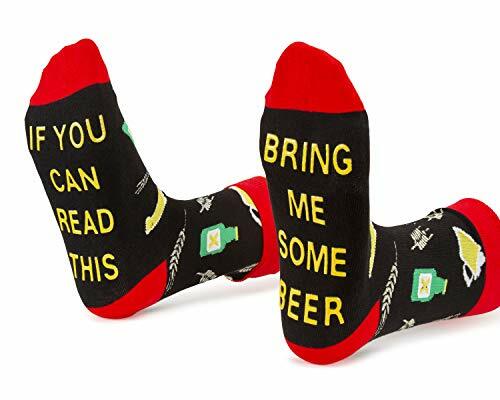 These funny beer socks make the perfect gift for the craft beer enthusiast in your life. 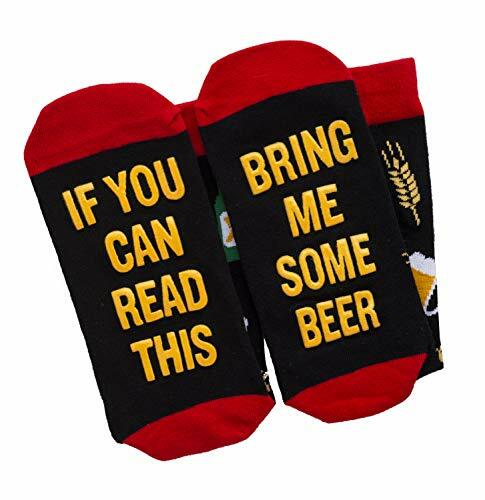 Our unisex design is perfect for both men and women and with the holidays around the corner these beer socks make the perfect for Christmas gift and stocking stuffers. 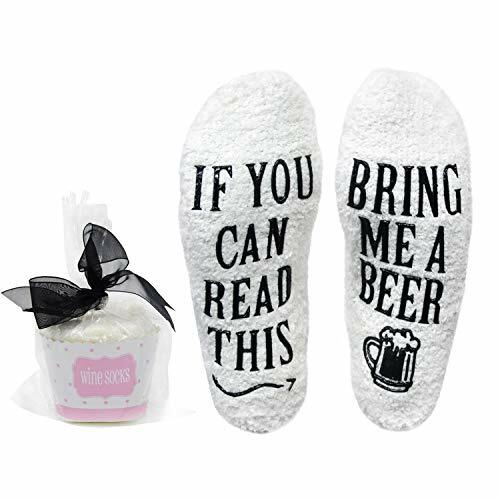 U-Goforst Funny Saying Knitting Word Combed Cotton Crew Wine Coffee Beer Socks Treat someone special to the perfect gift! Our combed cotton socks have a message of SEWN IN LETTERING, NOT PRINTED: IF YOU CAN READ THIS, BRING ME A GALSS OF WINE IF YOU CAN READ THIS, BRING ME A COLD BEER IF YOU CAN READ THIS, BRING ME SOME WINE IF YOU CAN READ THIS, BRING ME A CUP OF COFFEE IF YOU CAN READ THIS, BRING ME A BEER IF YOU CAN READ THIS, BRING ME CHOCOLATE IF YOU CAN READ THIS, BRING ME PIZA Fits US size 6-11, ankle height socks A perfect gift for wine lovers, foodies, friends, family, as a stocking stuffer for christmas, birthdays, for a hostess present, or any holiday gift! Fred and Friends. Fred likes to glug his beer right from the bottle, but Mrs. Fred is appalled. So Fred went out and did something about it-he created this bottle-in-a-glass as an homage to real men like him. Hopside Down is handblown, precisely crafted and unexpectedly deluxe. Individual Gift boxed. Oooh Yeah Socks are quickly becoming a fashion staple, that is, if you like fashion that comes with comfort. Our designs range from an evoking keen sense of individual style to your most inner bold personality. 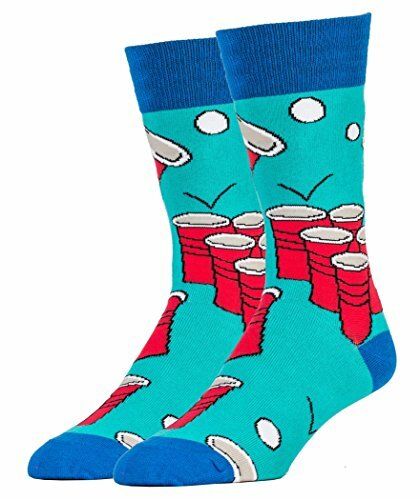 We focus on nostalgic and current trends, taking the novelty sock game to a new level. While our Oooh Yeah Socks feeds the fashion demand...... for those sock lovers that create trends. Our designs are based on current fashion textiles and America prints that tie us to our many roots. We take pride in our brand, designs, and the success of our retailers.